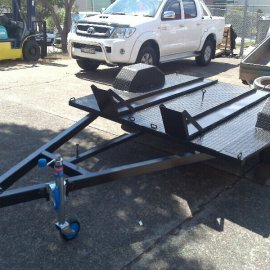 Manufacturing the finest Australian built trailers & vehicle transporters from our workshop for over 20 years. 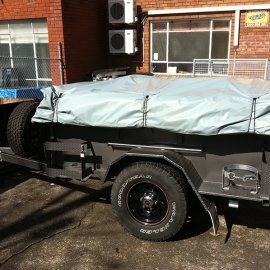 TRAILER’S R US is a business of Trailer Manufacturers and Trailer Designers. 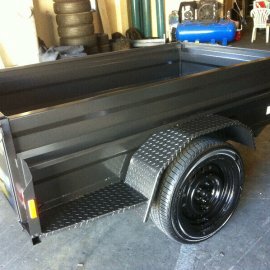 galvanized and painted steel trailers. 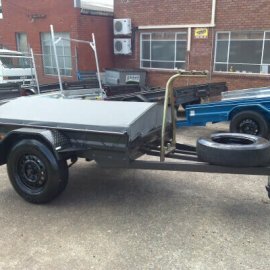 All our trailers are carefully designed and constructed to the highest standards using only proven quality materials as we work within strict Quality Control Systems set throughout each and every process. Customer care and value for money are at the heart of our business. It motivates our designers and encourages our entire team. We take pride in our work, and workforce committed to quality and value for money. We take great pride in what we do, not just our excellent, high quality product we manufacture but also the strong professional relationships we build with our clients. "Great Trailer. Washed and ready to go. Towed like a dream. Thanks"
" Well done boys!!! Spot on!! Great trailer and nice people"